I brought organic red lentils from Greece with me from Oregon to California to Pennsylvania. Kind of ridiculous the travels these beans have been made and there was clearly only one way to celebrate them - in hummus form! 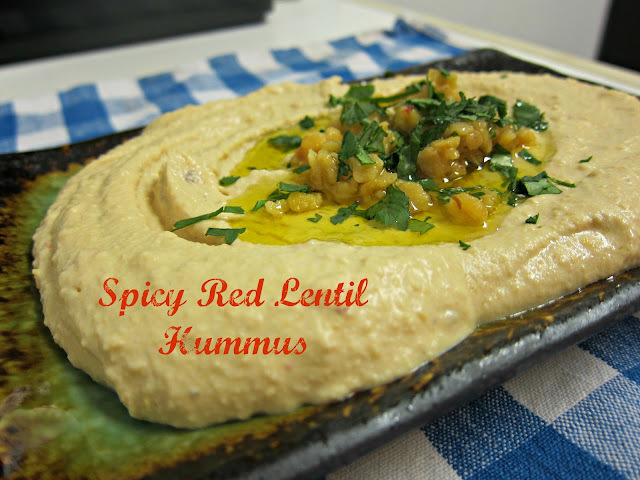 This hummus turned out to be one of my latest favorites. Smooth with a velvety texture, these red babies are going to make me think twice about using the 'banzos next time. Cook some red chili flakes in there and and a little more later, and you have got some nice heat going. Sprinkle with olive oil and cilantro, and things look really good. Heat water with lentils in saucepan until boiling. Reduce to a simmer, add 1 teaspoon chili flakes and cook for about 20 minutes, or until super soft. Let sit for about 30 minutes or more to cool off before making hummus. In a food processor, blend everything except lentils and herbs together until smooth. Add lentils (save a few for the top) and pulse until smooth. Top with extra virgin olive oil, reserved lentils, and chopped cilantro. I see the hummus queen is back....love this variation Anna! 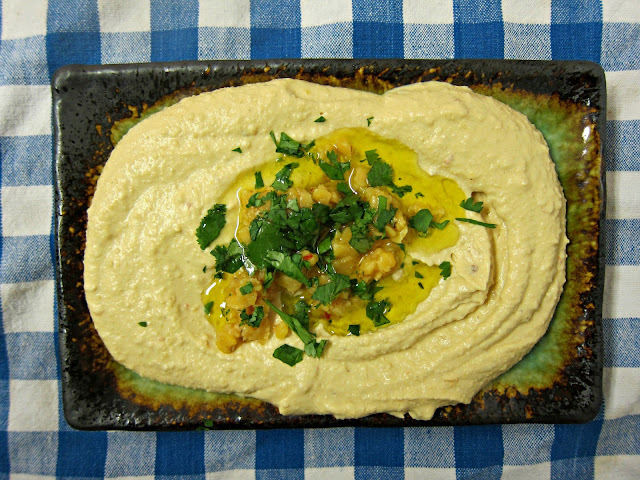 Whoa, I never thought of making hummus out of anything but garbanzos. This variation sounds great. Oh, this was a fabulous way to use them. I would devour this. Just sayin'. Joyti - So many ways to swing/sling it, but red lentils gotta be on my top 3. Heather - Amen sister, amen. Ooh red lentils are awesome. I use them in soup and curry but never as a hummus. Love, love, love it!